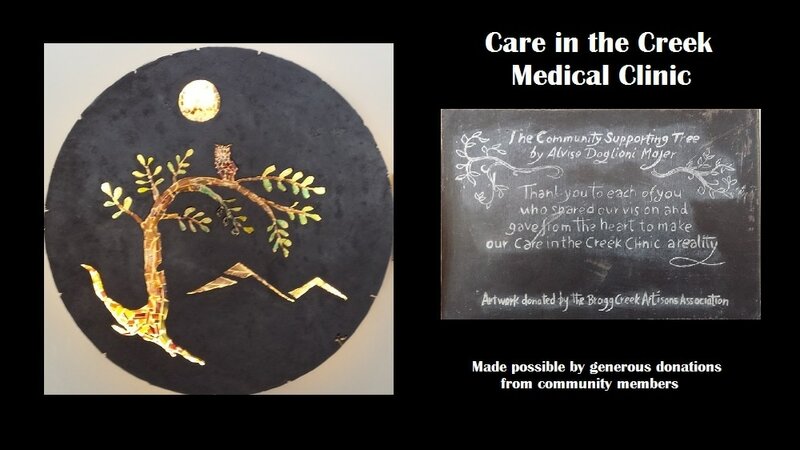 The building of Care in the Creek Medical Centre (CITC) was made possible by a group of dedicated citizens who made it their mission to bring sustainable healthcare to the Bragg Creek area. Together with the help of the community they raised the funds necessary to build Care in the Creek Medical Centre which opened its doors in August 2012. Today it still stands as a ’one-of-a-kind’ success model of what is possible when a community comes together in partnership with other health-care stakeholders to achieve a desired outcome. You may be interested to know that while the operating costs of the clinic is the responsibility of the physicians, anything extra that the community wishes for has to be funded. Your giving allows sustainable healthcare to remain in our community and ensures that your medical centre has the necessary services and equipment to guarantee that reality. No operating or administration costs are ever covered by donations. Healthcare has a profound impact on the lives of the youngest to the oldest in our communities. While the reasons you give are personal to you we know your generosity is without expectation of return. ​We think you are exceptional because you make selfless choices to contribute to everyone's health. Thank you!